With Raya just another week left, im pretty sure that you realize that malls around Klang valley are up with their festive decorations to celebrate the festive season together with their loyal shoppers. And recently I was invited to the community engagement event which was held recently, and I have tons of things to share with you guys! Even Fahrin Ahmad, Amber Chia and Deborah Henry was there too! The Anyaman of a Ketupat. 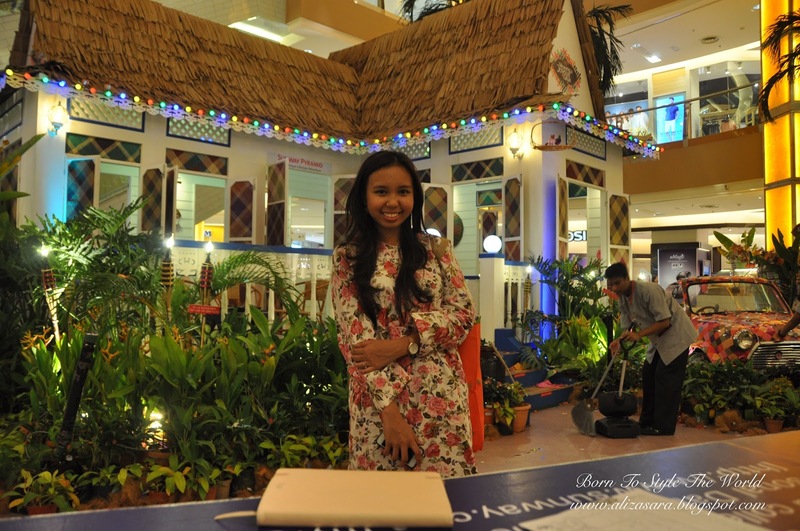 This year, you might want to drop by Sunway Pyramid to celebrate the festive season where this years’ inspiration would be ‘anyamans’ which surrounds the mall with its delicate yet simple art form to create an ambience like no other for this coming Aidilfitri. 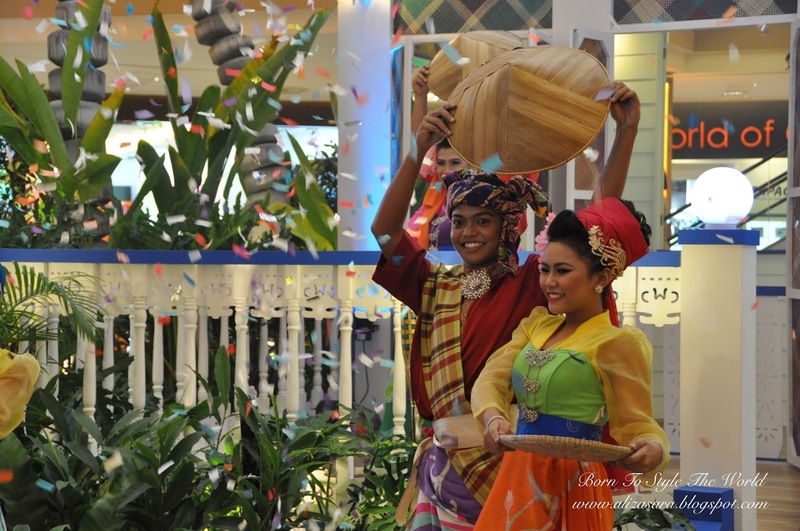 We had a lovely traditional performance as well, to officiate the launch of the Raya Theme and promotions happening at Sunway Pyramid too. Why shop at Sunway Pyramid? From now till 26th July, the mall will be holding a few exclusive anyaman workshops and exciting redemptions. 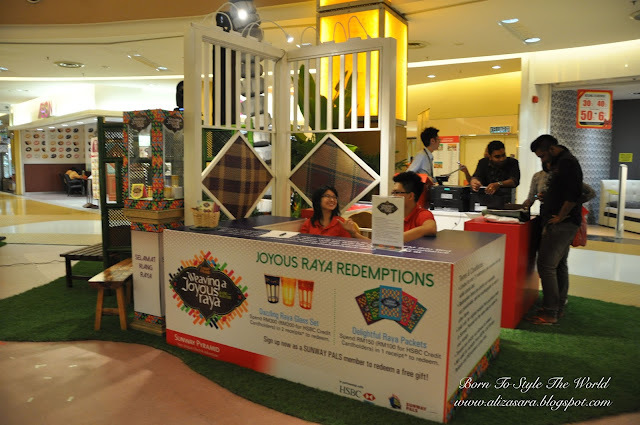 Not only that Sunway Pyramid will be rewarding shoppers, but they are also giving backt o society with an interactive activity to enjoy with shoppers. 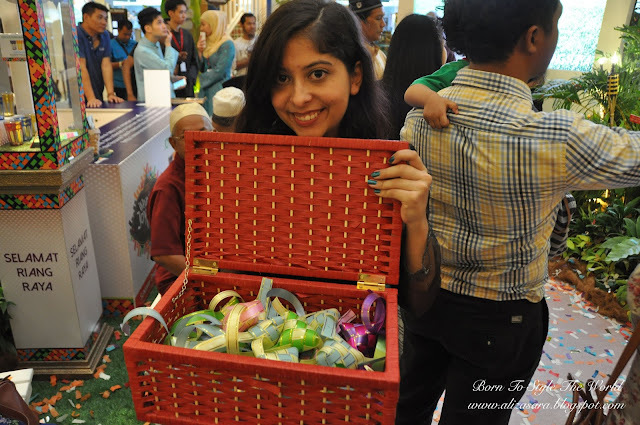 We had celebrity attendees and shoppers of Sunway Pyramid folding ketupats at the event where each ketupat folded, Sunway Pyramid will donate RM5 to the National Cancer Society Malaysia (NCSM)’s Childrens Home of Hope. So if you would like to contribute, do make sure you fold some ketupats when youre at Sunway Pyramid. 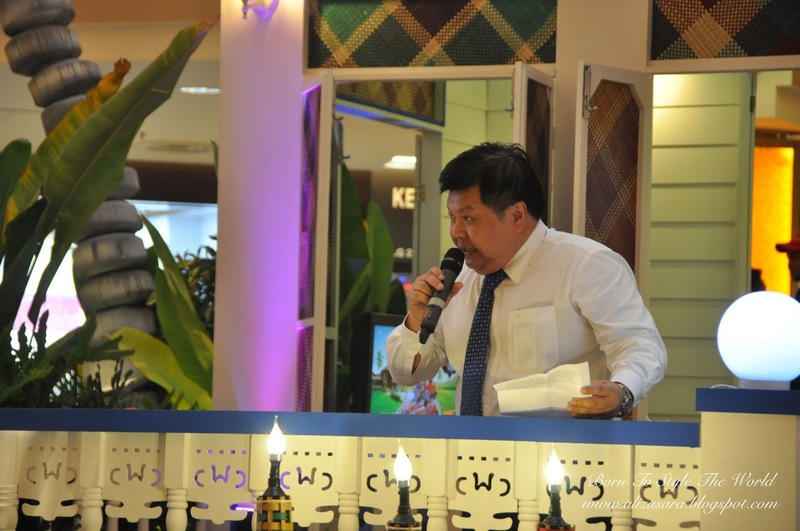 Kevin Tan gave a speech as the Chief Operating Officer. At the event, we had Kevin Tan, Chief Operating Officer of Sunway Shopping Malls who said ‘ Shopping malls of today play a pivotal role in the community. They have transformed to become not only a place to shop but also a public meeting place where people integrate, socialize and harmonize.” Well said Kevin Tan. Since children were present at the event, Leo & Leona, Sunway Pyramids lovable mascots made a Raya Roar appearance to keep them entertained. And if you want to bring your kids out for a stroll at Sunway Pyramid, Leo & Leona will be there making an appearance every weekend & public holiday from 27th June tp 19th July at 2pm & 4pm. So get your camera ready and get dressed for Raya to take photos with their lovely set up. 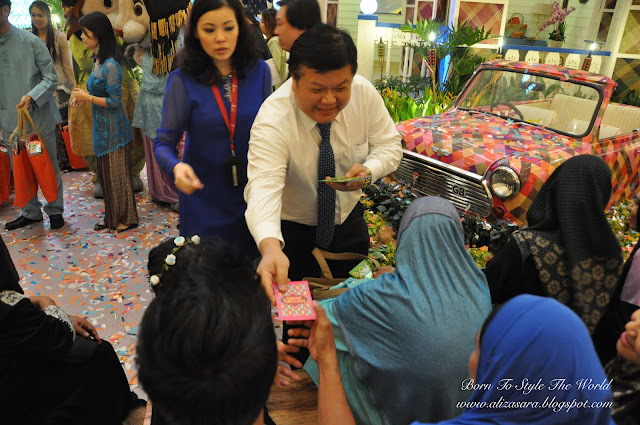 We even had Kevin Tan and celebrities giving out some 'Duit Raya' and goodie bags to the children attendees from Masjid Al-Husna which was a joyful moment to see smiles every where. Kevin Tan, giving out 'Duit Raya'. Amber Chia passing out Goodie Bags with a smile. Deborah joining the joyful event. 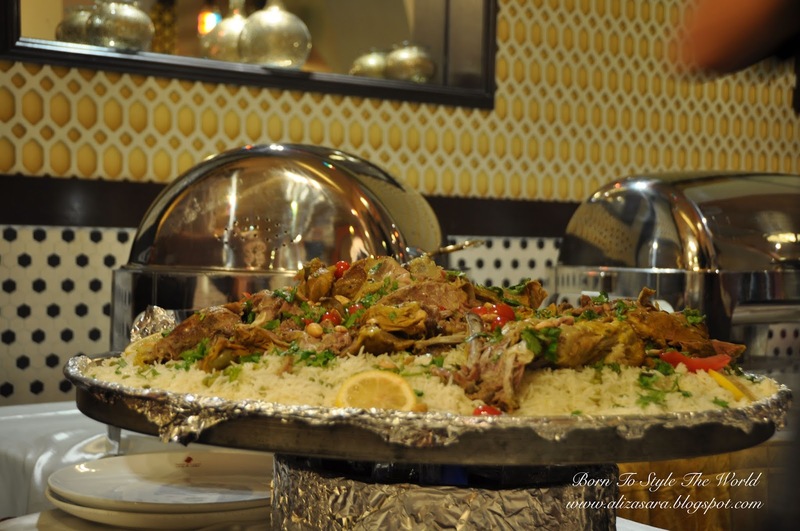 The highlight dish at the event, at Tarbush. 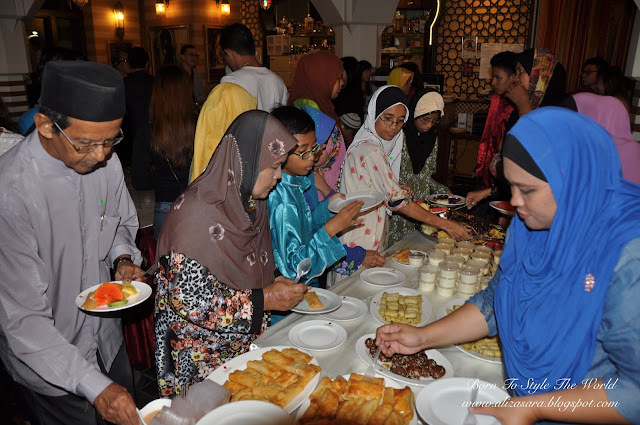 The event ended with celebrities and guest from Kraftangan Malaysia, Masjid Al-Husna and members of the media were treated to a sumptuous buka puasa dinner at Tarbush. Thank you Sunway Pyramid for having me and of course, the company was the best. Managed to meet new friends and enjoyed the trill of breaking fast with new faces. 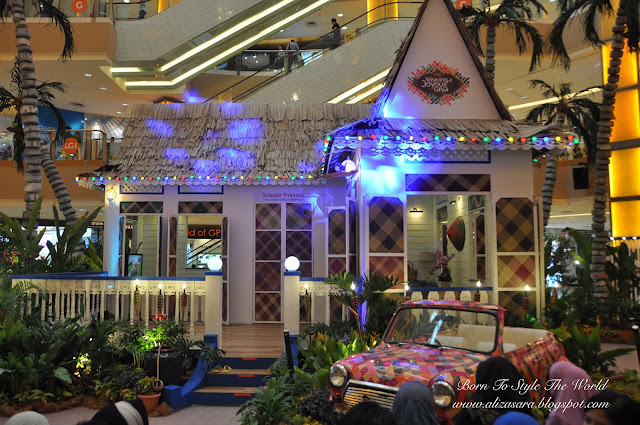 So do make sure you make time to drop by Sunway Pyramid this festive season and do not forget to visit the mall’s concourse, where they have transformed the space into a nostalgic Raya vision. 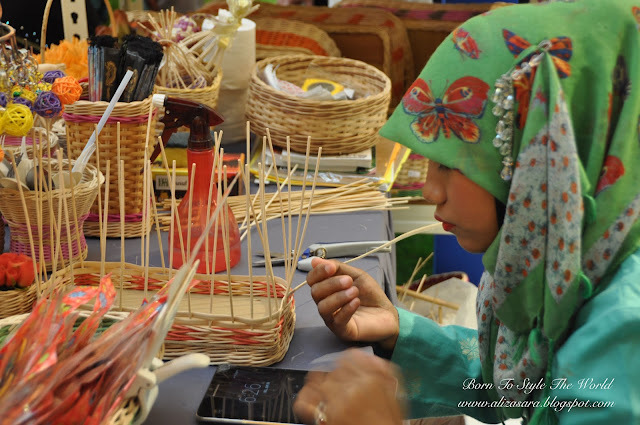 On weekends at the Orange Concourse, there will be an exclusive Raya Weaving Workshop by professional craftswomen from Perbadanan Kemajuan Kraftangan Malaysia, where you can learn how to weave as they will gladly assist you step by step. Raya packets will also be given to those who spend a minimum of RM150, and for HSBC Credit Cardholders a minimum of RM100 in a single receipt while a Dazzling Arabian Raya Glass Set will be rewarded to those who spend RM300 or a minimum of RM200 for HSBC Credit Cardholders. For more information, head on over to Sunway Pyramid’s Official Website Page or call 03-74943100. Don’t forget to link their OfficialFacebook page too. I hope this was an interesting read for y’all. 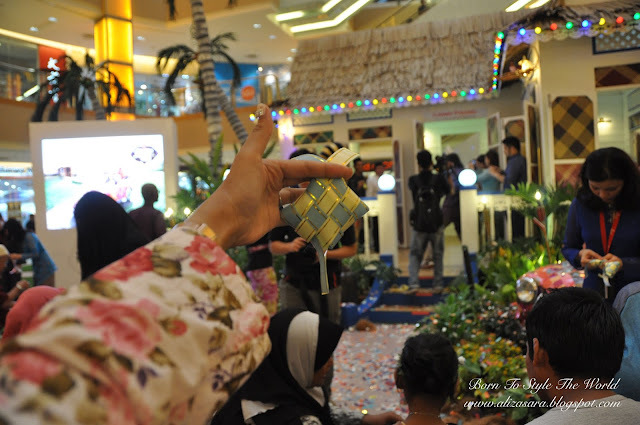 Do leave me a comment of your favourite moments at Sunway Pyramid when you get the chance to. I would love to know all about it! Vika is finally available in Malaysia!